The recent news of a San Diego-area 5-year-old who was killed crossing the street in Vista, California, saddened many people in the region. Such a tragic loss will have a permanent impact on the community. The child’s mother recently spoke with news outlets, calling on the city to add more traffic lights and crosswalks to make the area safer. According to the National Highway Traffic Safety Administration, in 2013, nearly 5,000 pedestrians were killed and 66,000 were injured in traffic accidents across the United States. Over the past decade, the number of pedestrian fatalities as a percentage of total traffic fatalities has steadily increased. About a fifth of that total, or 21%, were children age 14 or younger. California roadways are no exception when it comes to the dangers posed to pedestrians. While many accidents are due to the negligence of the driver, poor intersection controls and signage can also be a contributing factor. California cities and communities have a responsibility to provide safe intersections that protect pedestrians. The truth is that in many locations in the state, much could be done to make these intersections safer. If you are ever in a situation where you are hit by a car, there are some important steps you need to take. Your first priority is to get immediate medical attention. You or a companion also needs to get the information of the driver who was involved in the accident and call the authorities. You’ll also want to document any potential evidence by taking photos or getting the contact information of any potential witnesses. You may be entitled to compensation for your injuries. This includes all medical bills, rehabilitation, medication, lost wages, and pain and suffering. Insurance companies will do their best to limit the amount you receive, so it’s imperative that you have someone on your side who can gather evidence, build a case, and fully protect you so that you collect the compensation that you deserve. The personal injury attorneys at Jurewitz Law Group have the experience and resources necessary to take on insurance companies on behalf of victims. 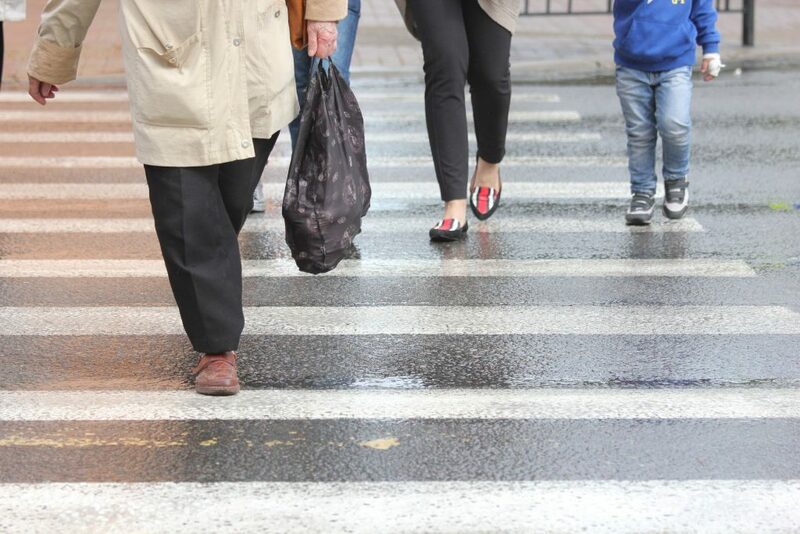 If you or a loved one was injured or killed in a crosswalk, call (888) 233-5020 today to speak with one of our knowledgeable representatives and learn about how we can help.